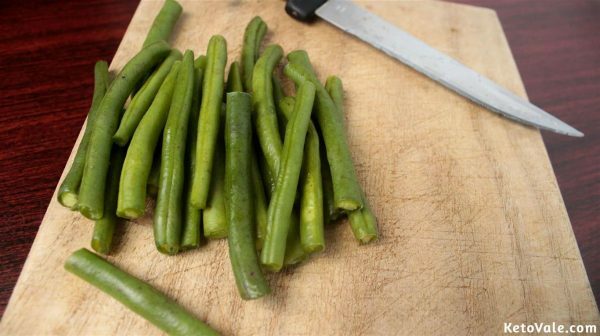 Chop off both tips of the green beans then slice into two. Put aside. 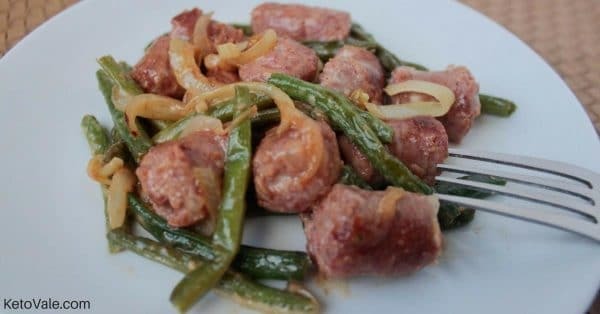 Chop the sausage links into bite-sized chunks as well. Reserve in a bowl. 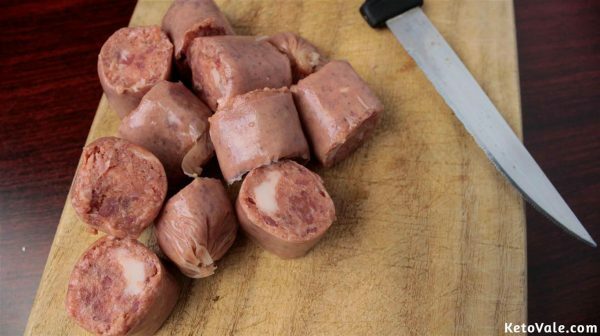 For easy chopping, refrigerate the sausage for around 15 minutes before cutting. Preheat a skillet then pour the oil into heat. Sear the sausage chunks for 5 minutes. 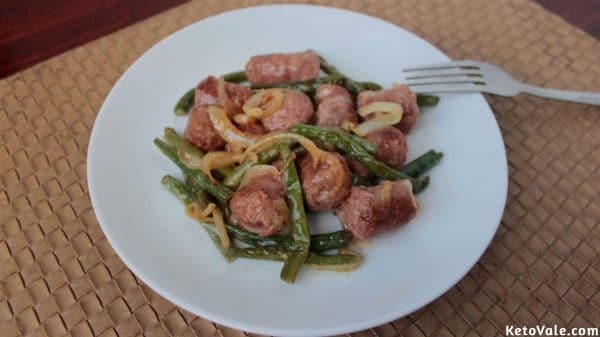 Once brown, toss in the onion and chopped green beans. Sauté for 4-5 minutes more. Gently pour in the cream. Season with pepper and salt. Fold the mix with a spatula to incorporate all the ingredients together. Leave for an additional 3 minutes before turning off the heat. Serve in a dish and enjoy warm.